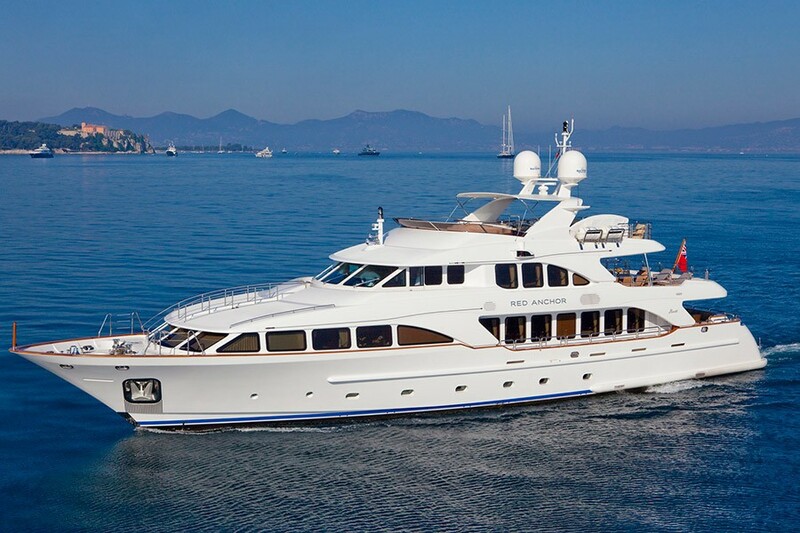 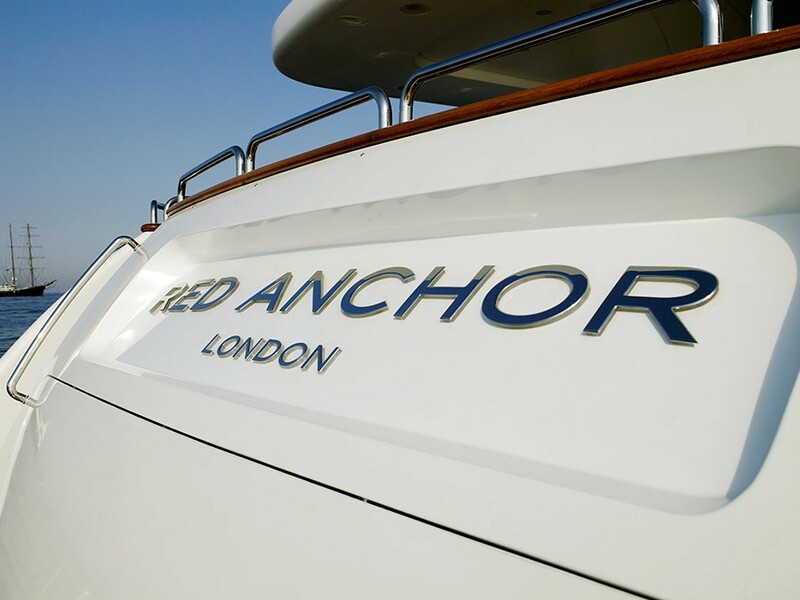 Luxury motor yacht RED ANCHOR (ex Claudia) is a 36,60m (120’) Superyacht built by the renown shipyard Benetti in 2009. 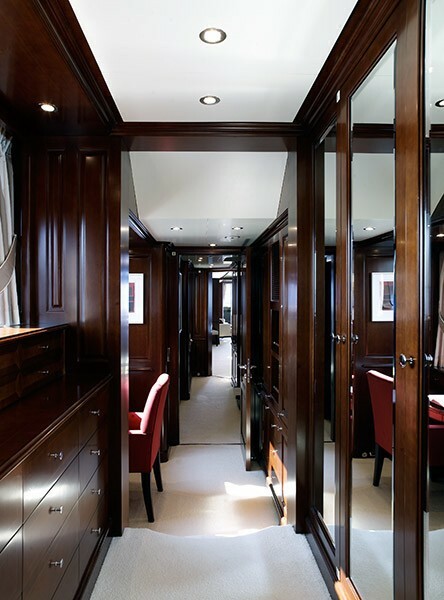 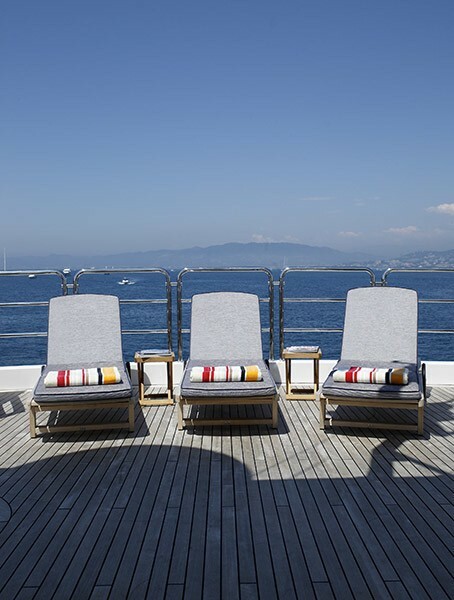 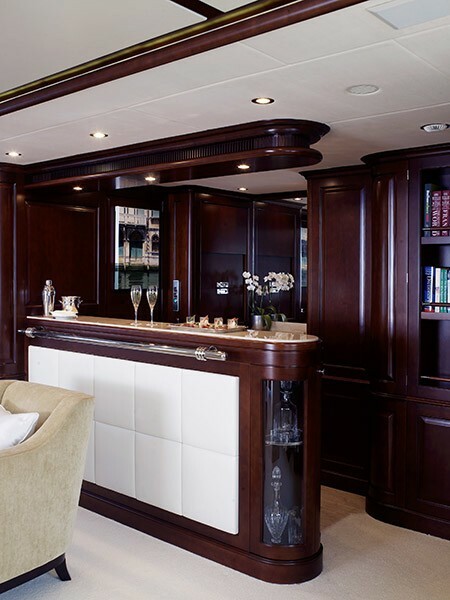 This semi-displacement motor yacht features interior design by Francois Zuretti and Adam Lay. 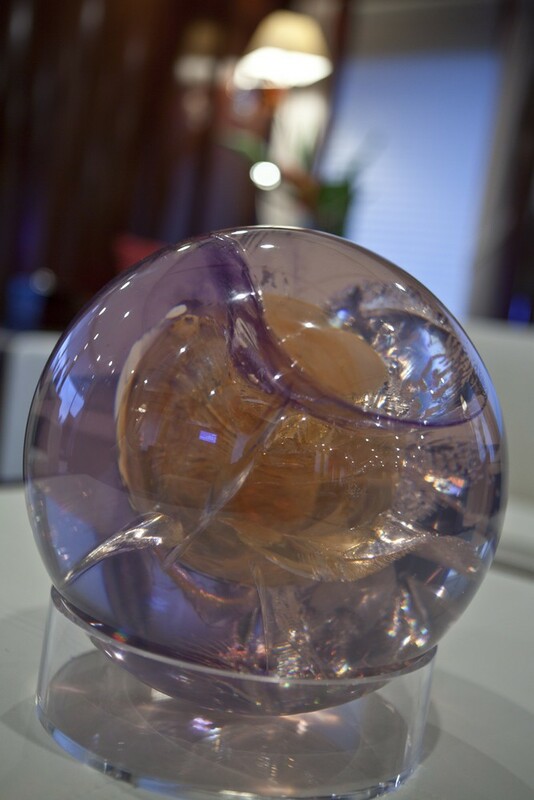 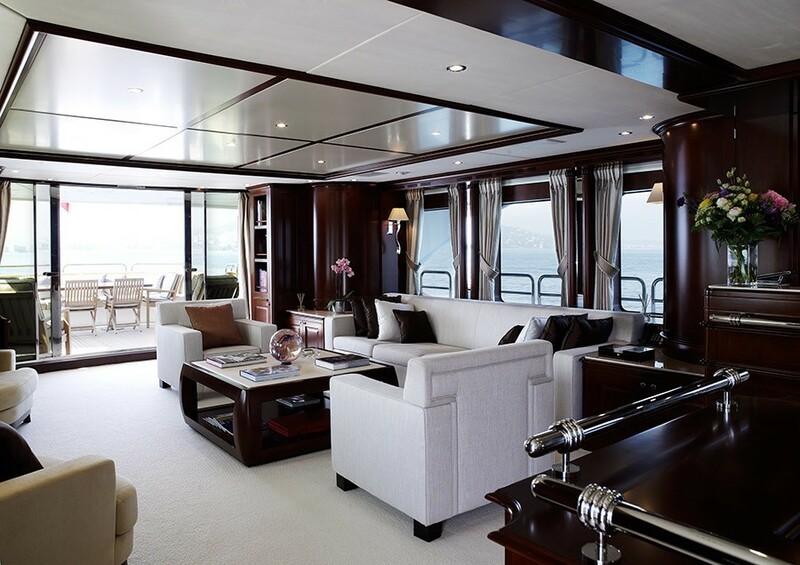 She has a stylish interior that was refurbished in the winter 2009/10 with soft furnishings featuring neutral colours and tones by interior designer Adam Lay. 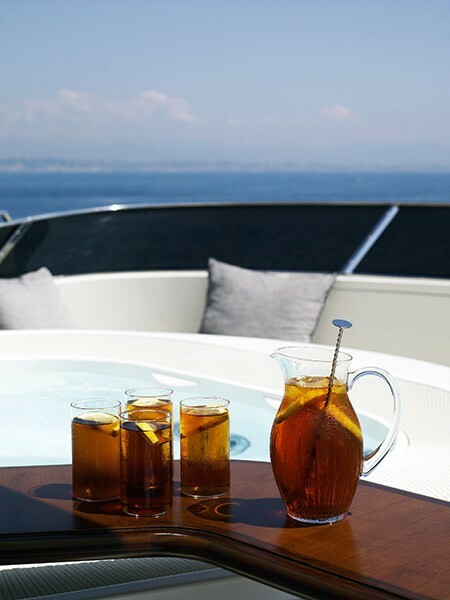 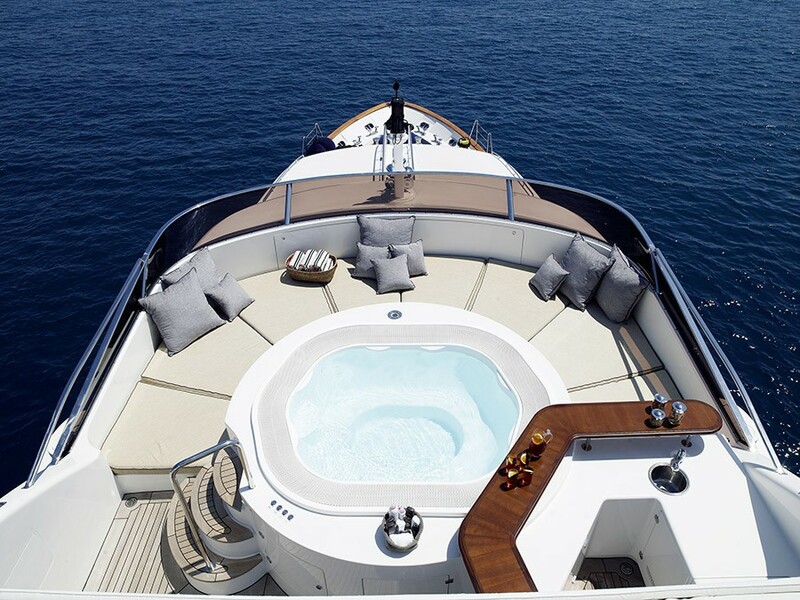 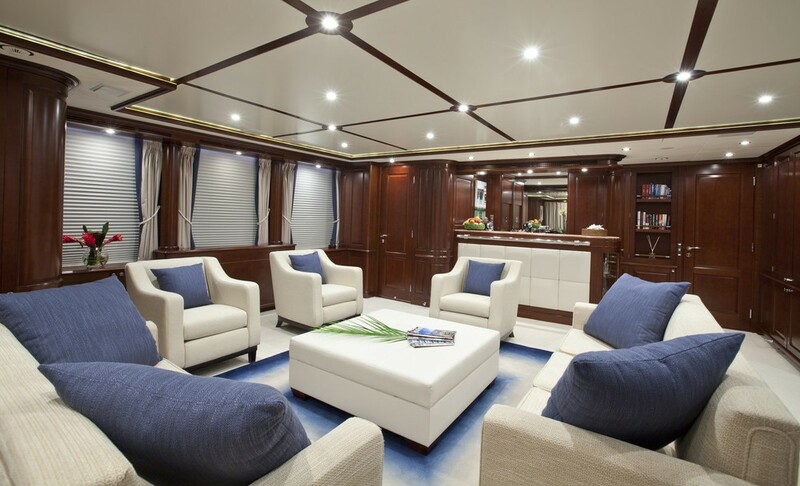 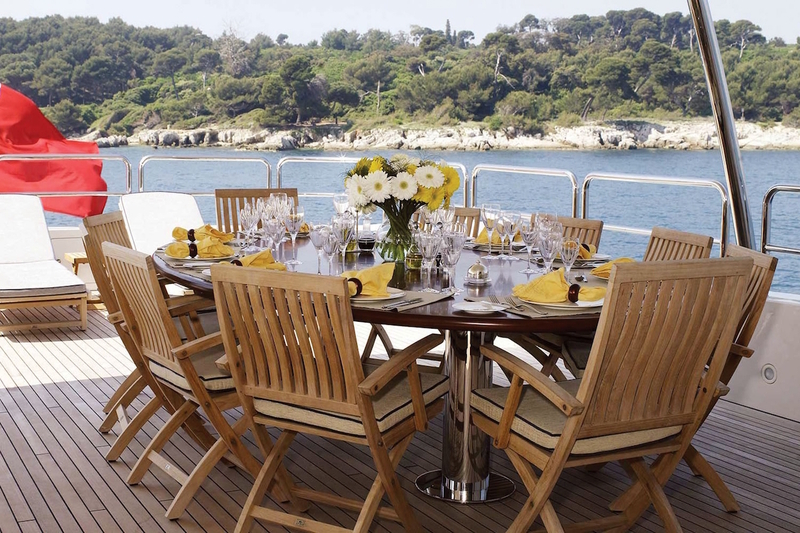 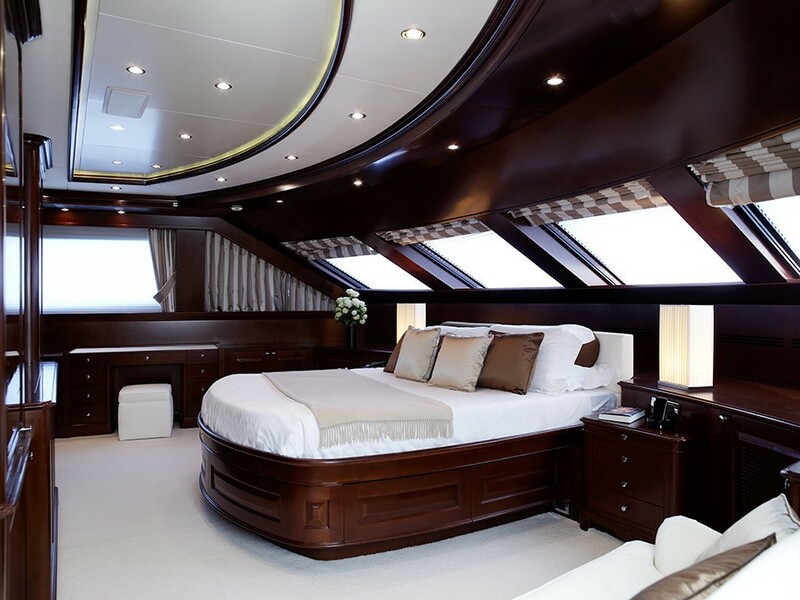 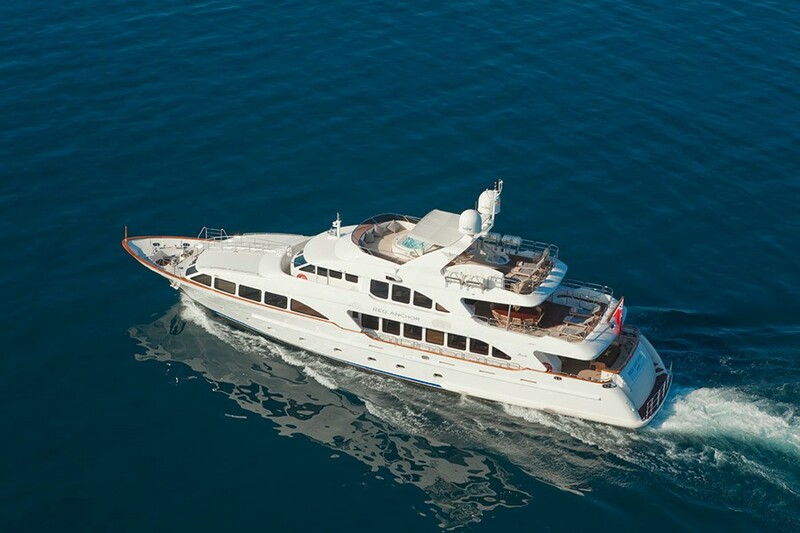 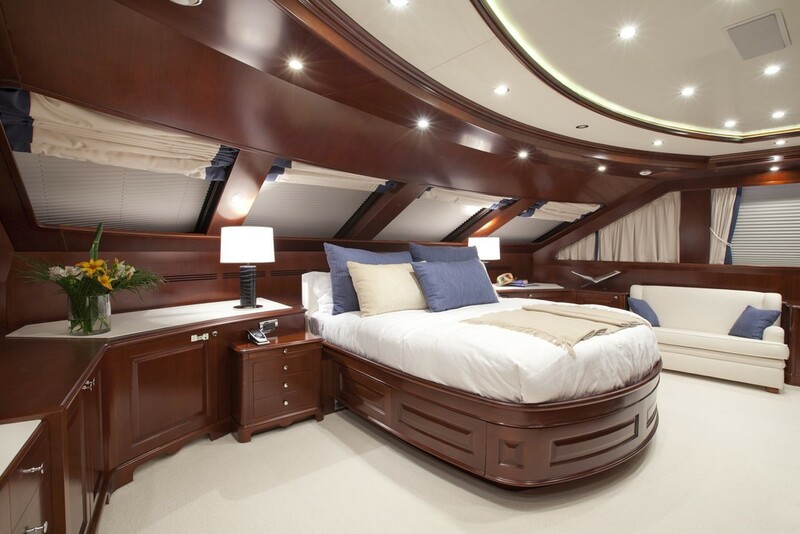 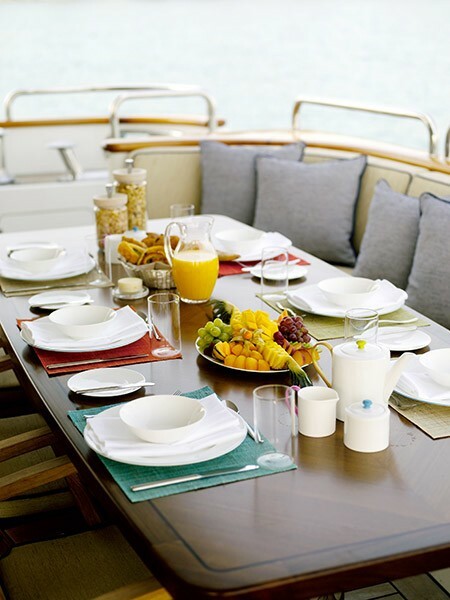 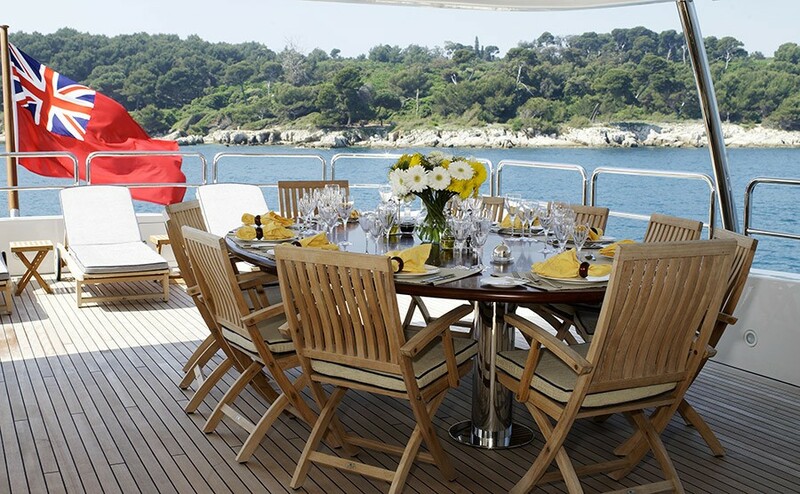 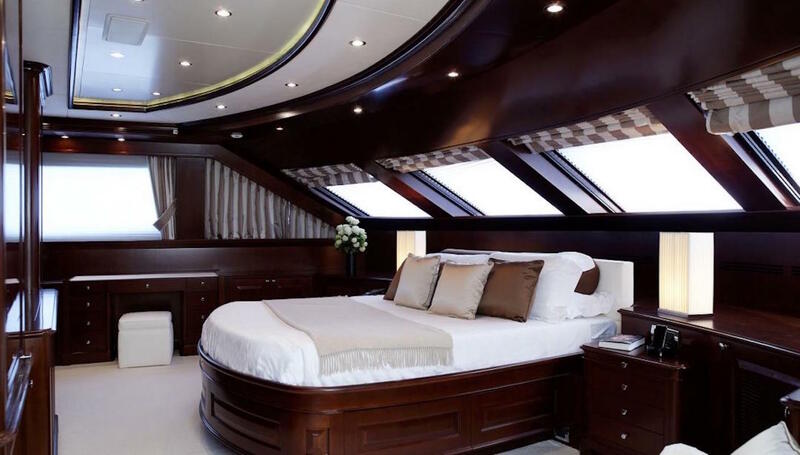 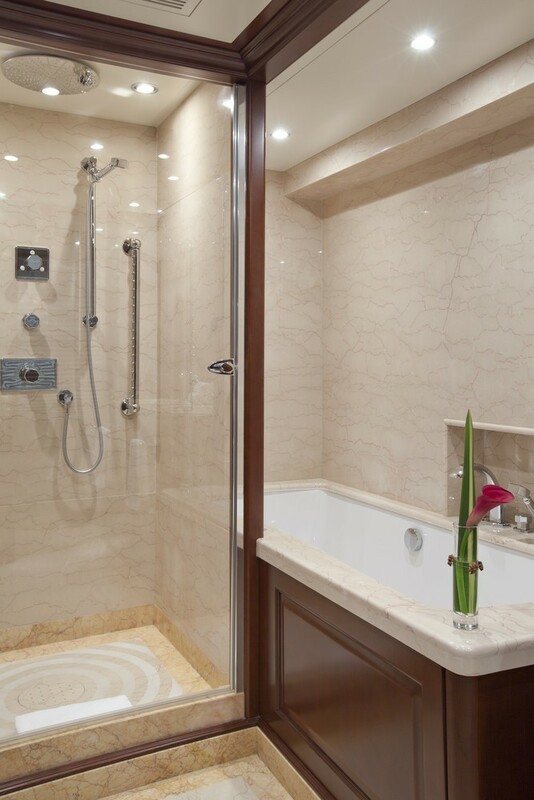 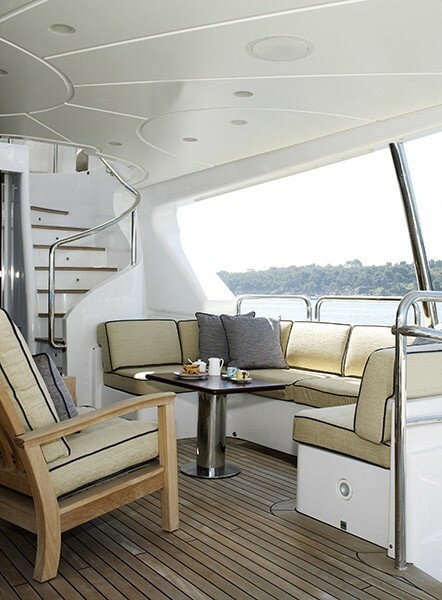 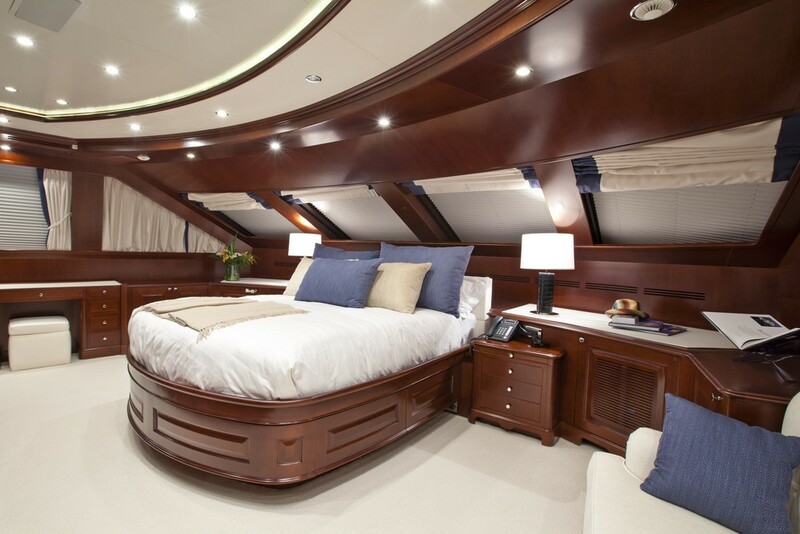 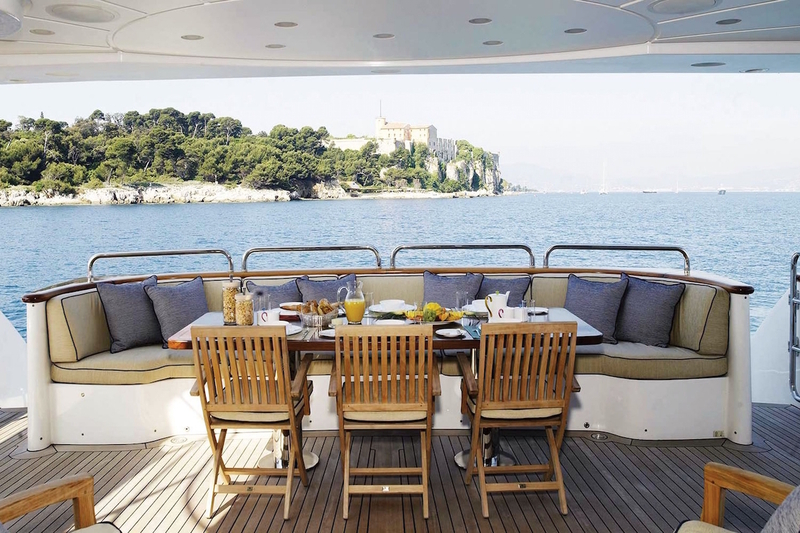 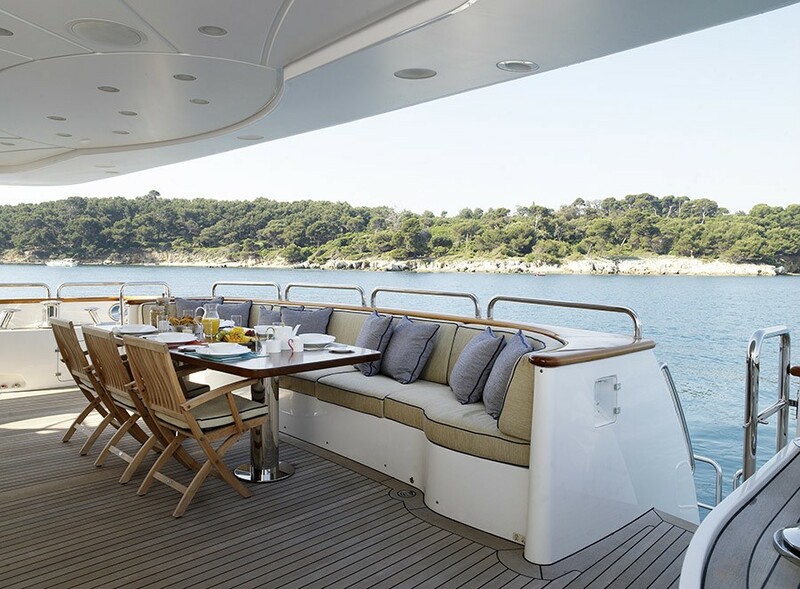 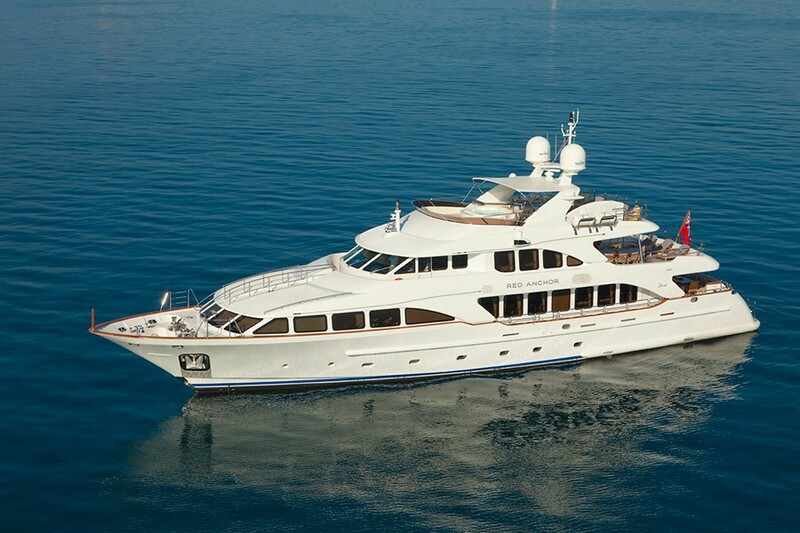 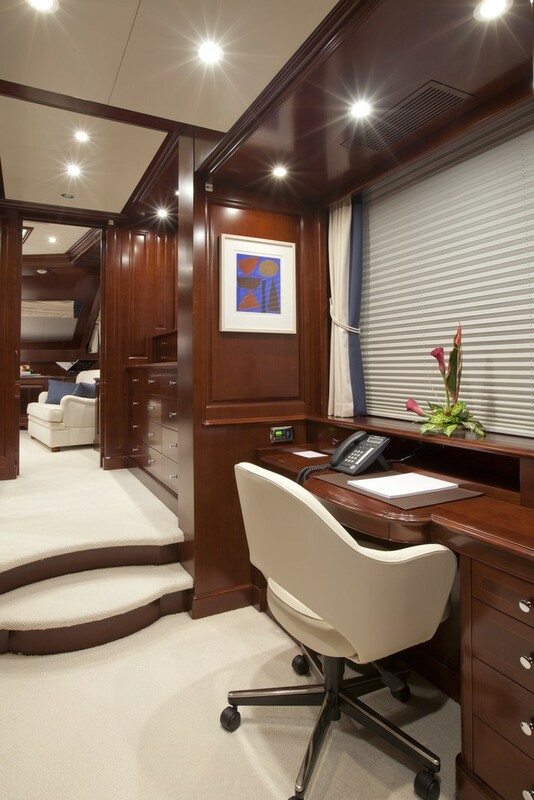 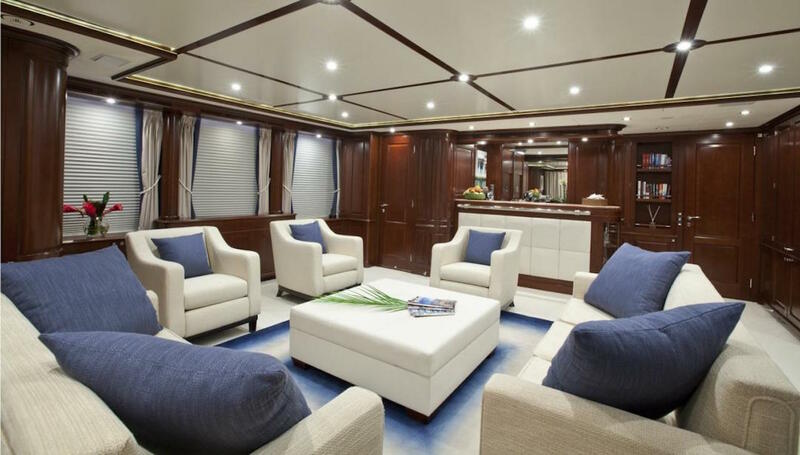 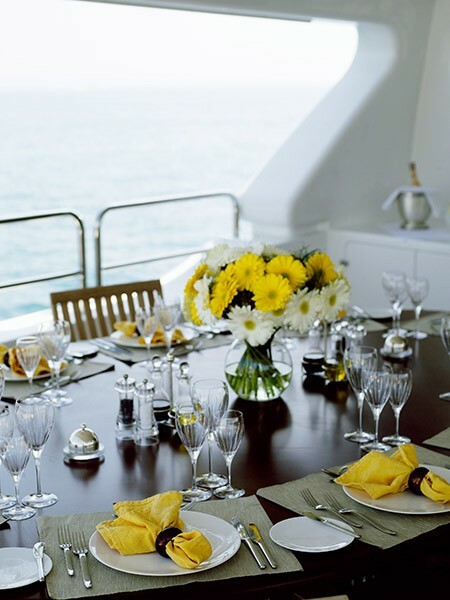 She is a spacious yacht with well designed social areas both inside and out. 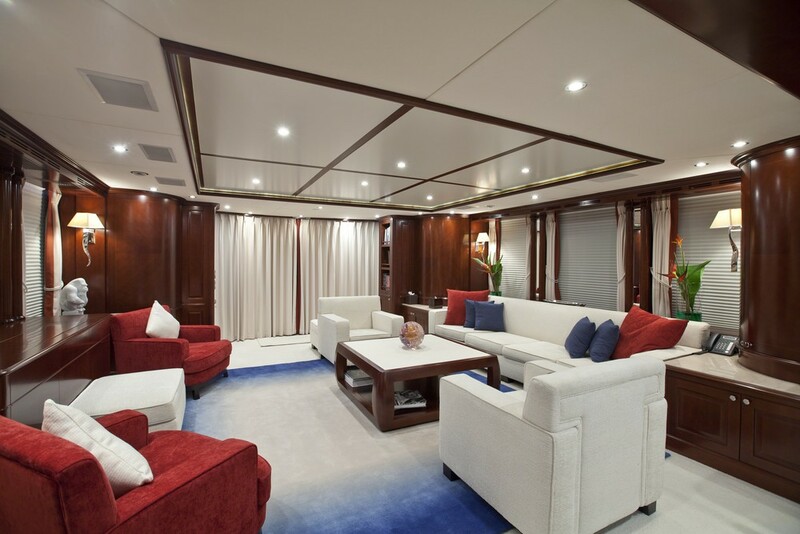 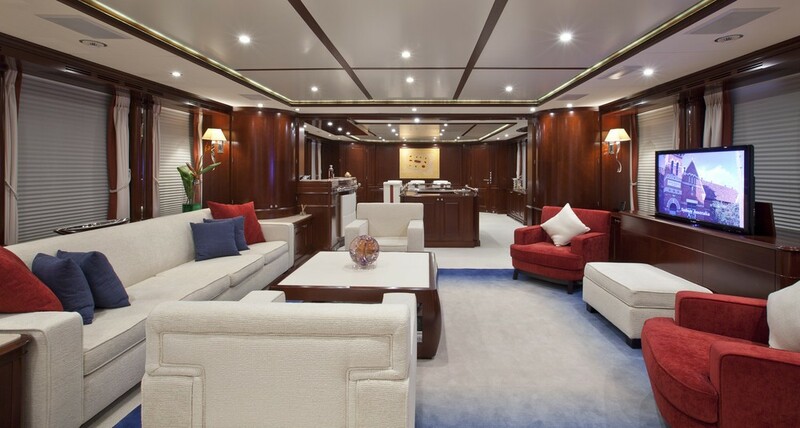 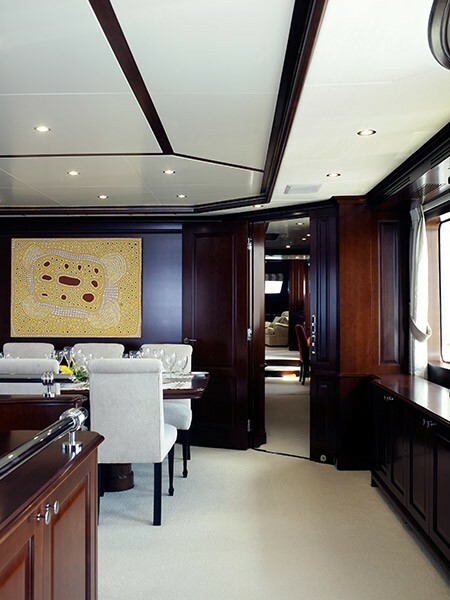 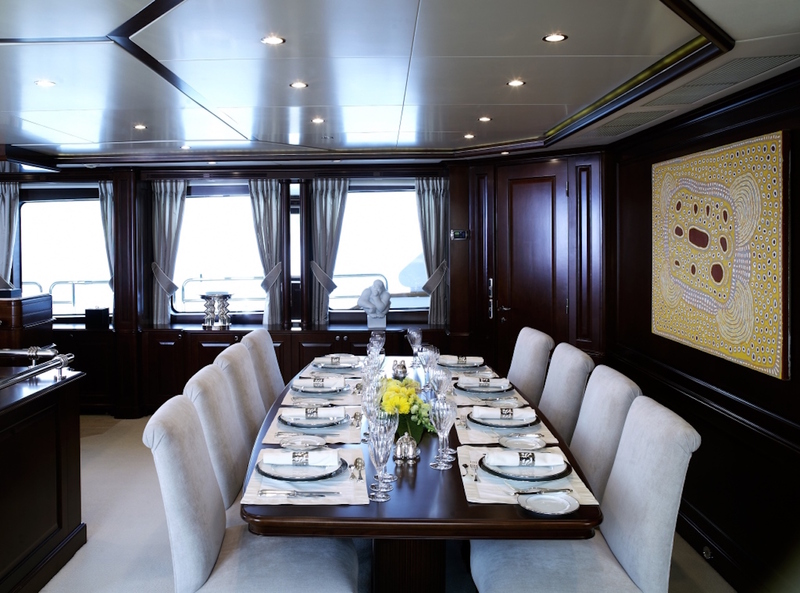 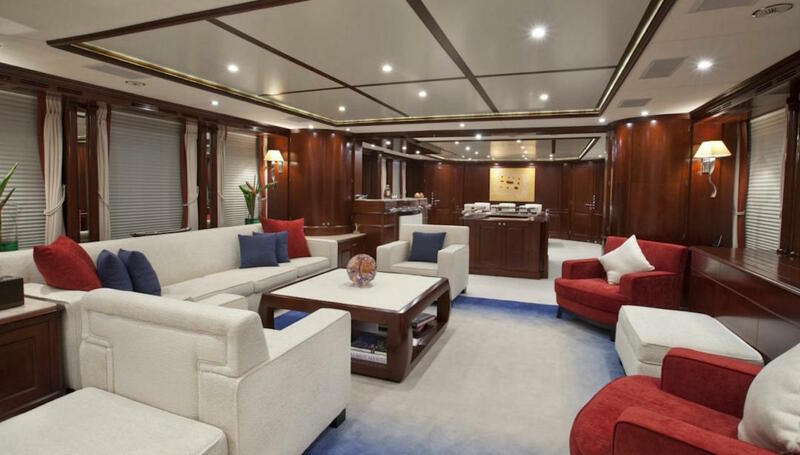 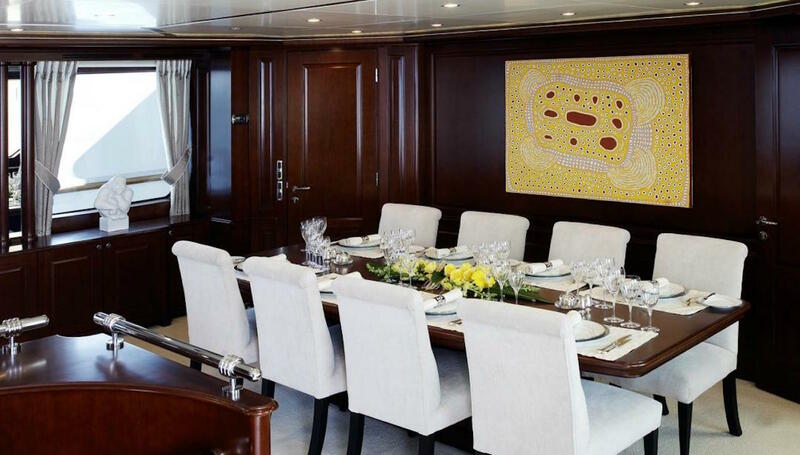 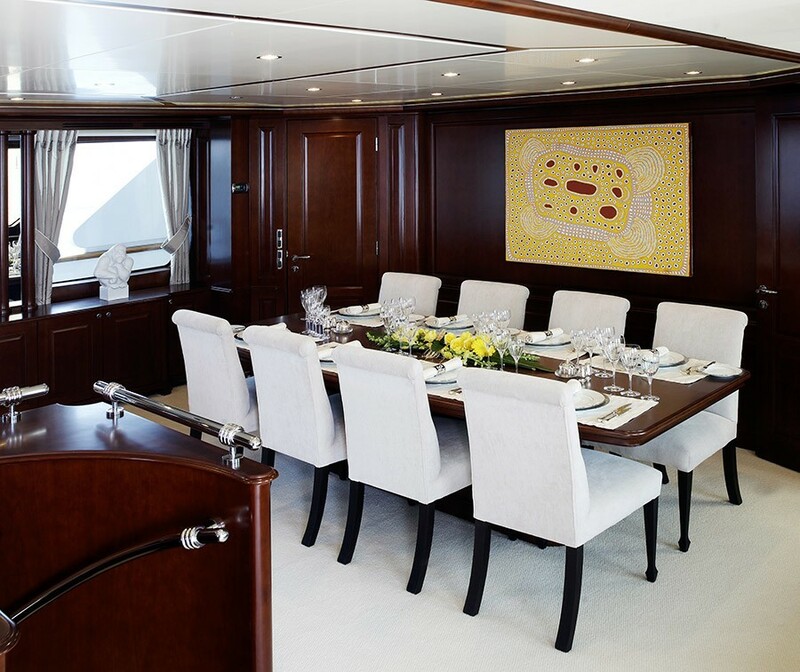 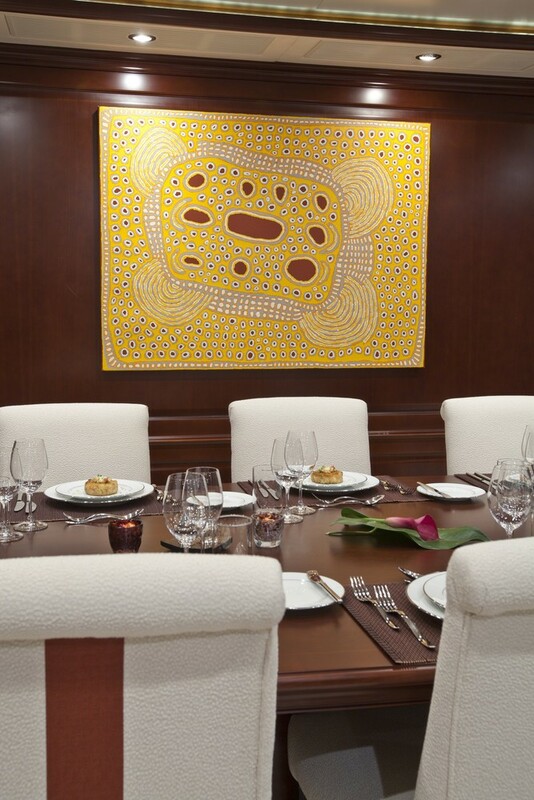 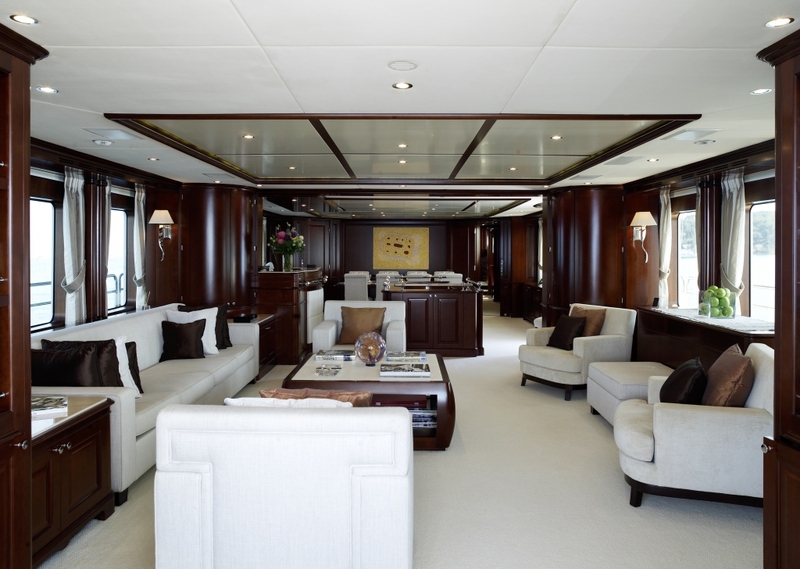 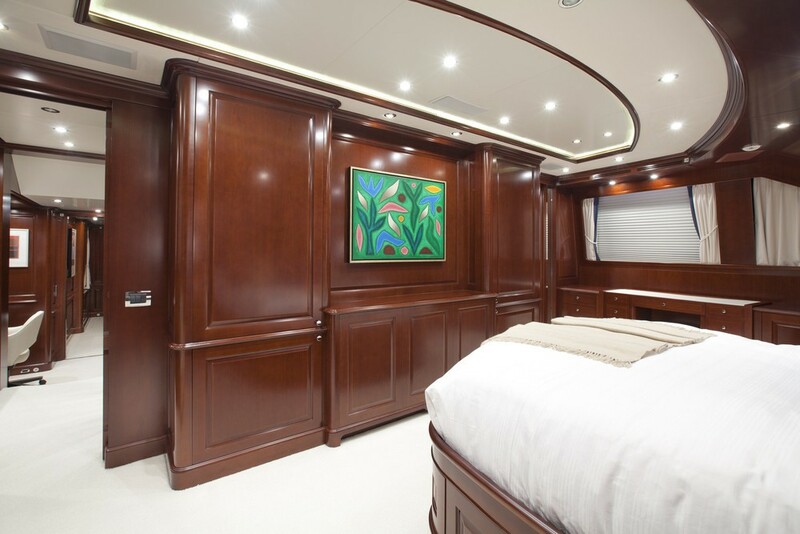 The comfortable main salon on the main deck has an adjoining formal dining area forward. 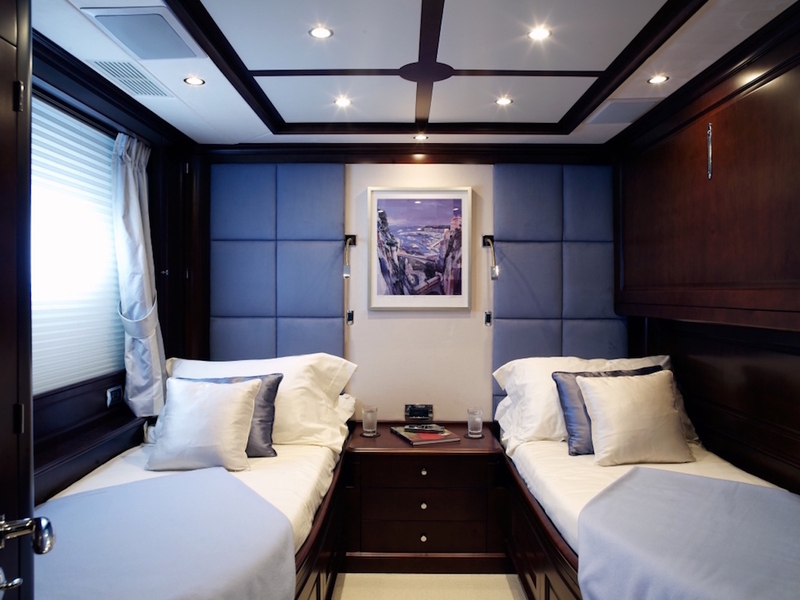 Further forward on the main deck is the sumptuous full-width master cabin with fantastic views thanks to the wrap around panoramic windows. 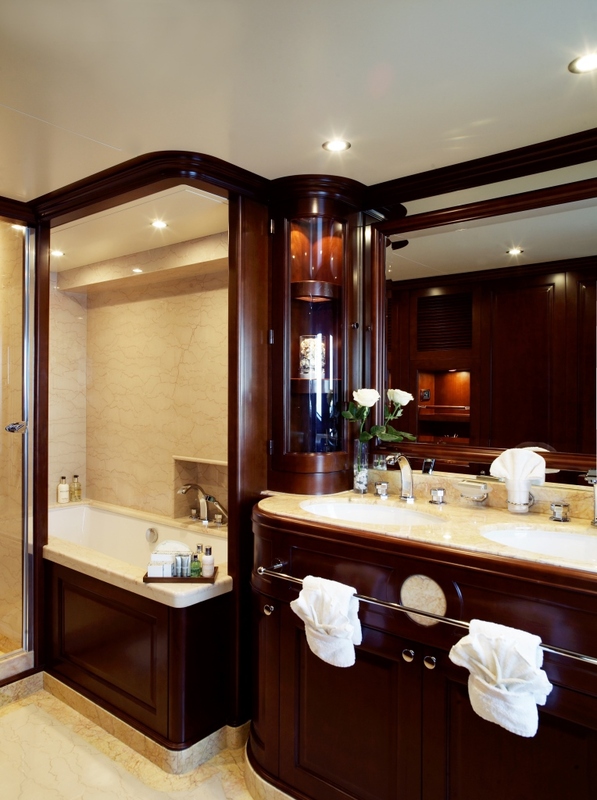 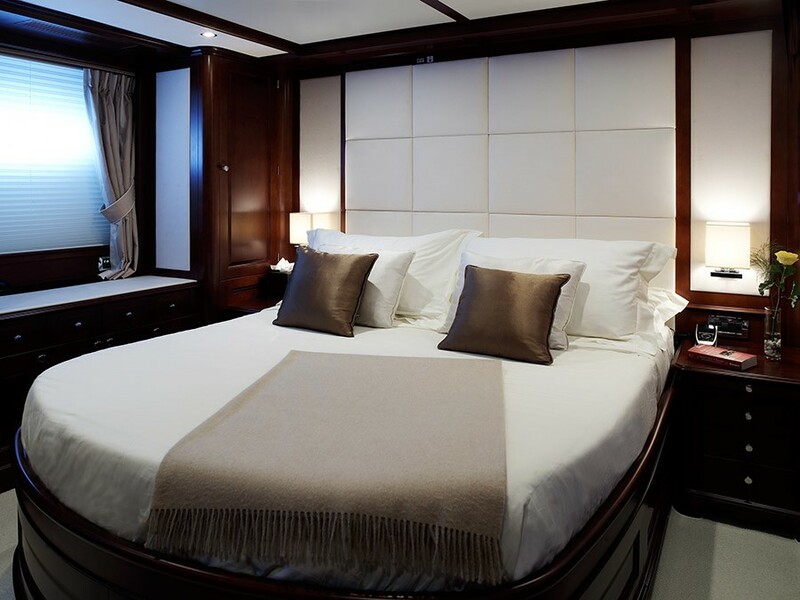 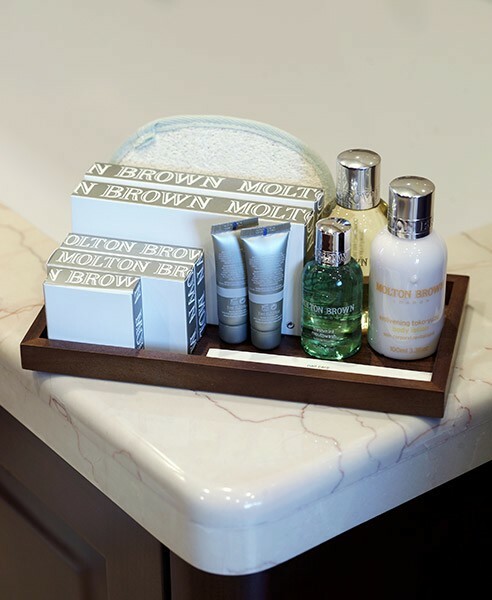 The remaining cabins are located on the lower deck and include four suites, 2 of which are convertible, all with tasteful décor and en suite bathrooms. 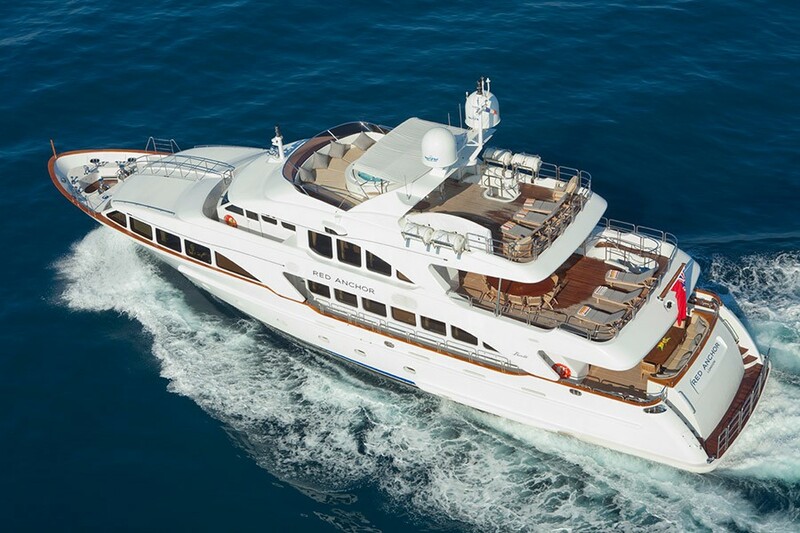 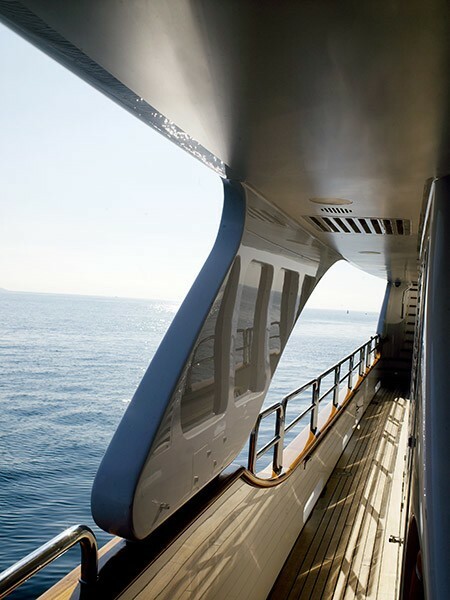 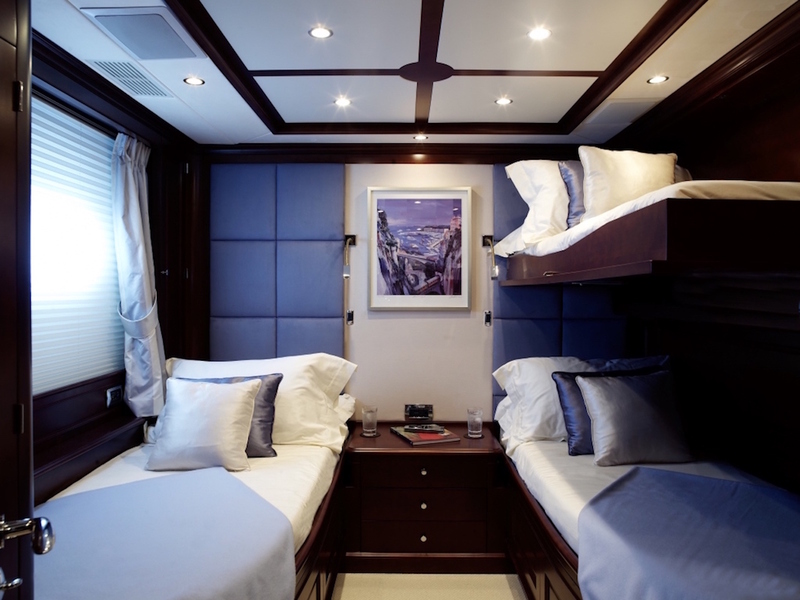 On the upper deck, she boasts a lovely sky lounge with a bar and comfortable seating area. 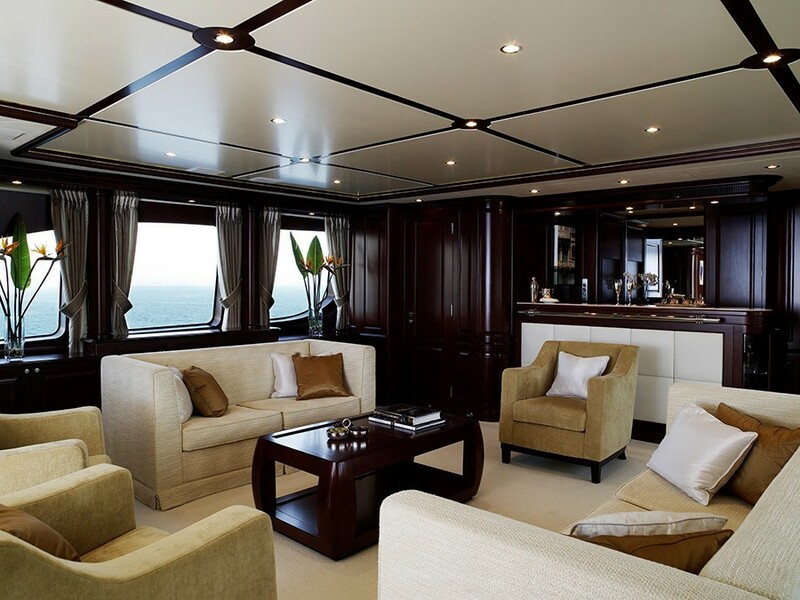 The sky lounge offers an exceptional view of the surrounding vistas, or if you would prefer, the blinds can be closed to enjoy movies on the 42" Sharp LCD TV or enjoy one of the three portable Play Stations. 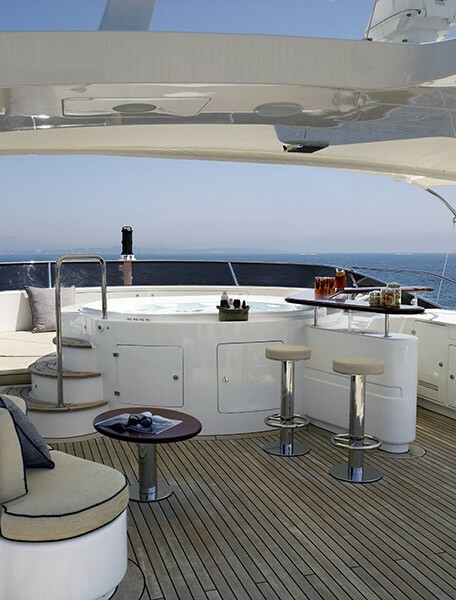 Forward of the sky lounge is the wheelhouse. 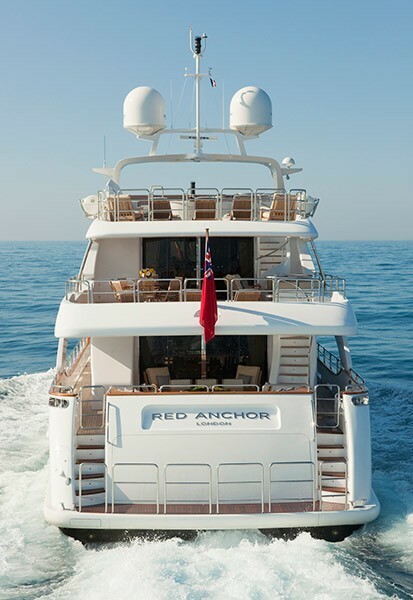 RED ANCHOR’s voluminous interior is matched with spacious exterior deck areas for sunbathing and entertaining. 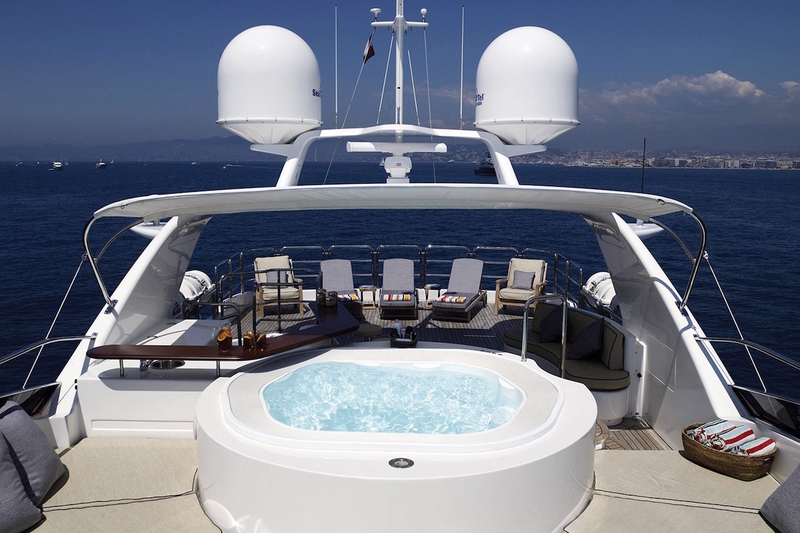 She also has a large Spa Pool on her sun deck. 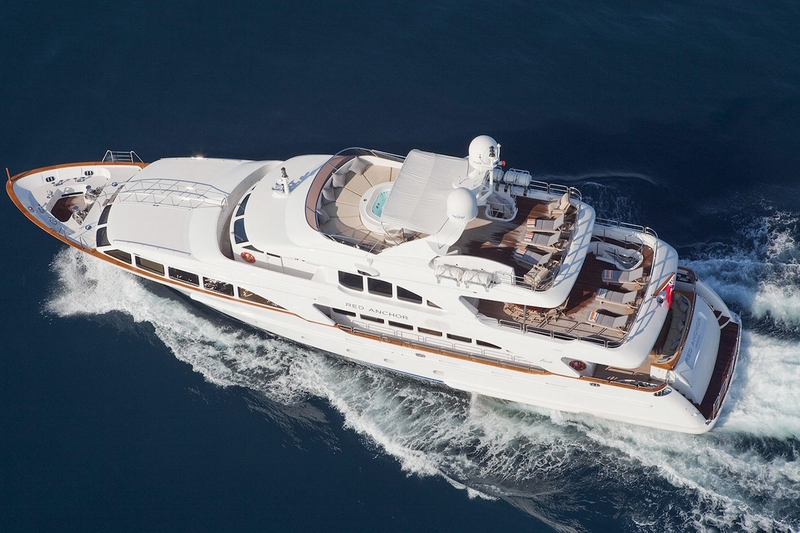 This superyacht has a crew of 7 and cruises at around 12-15 knots. 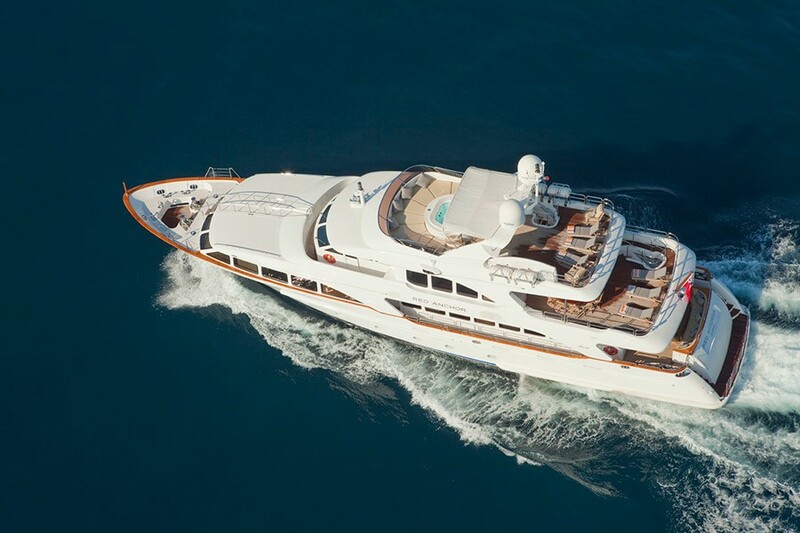 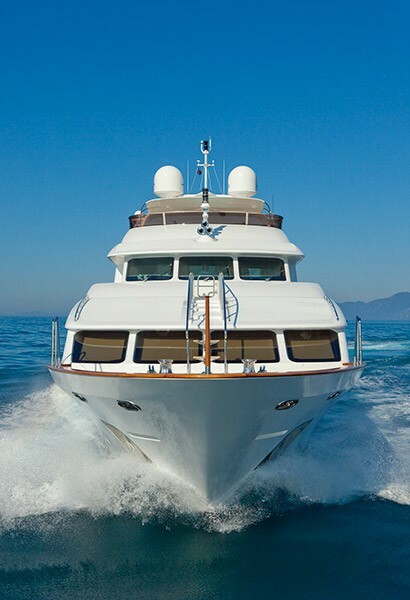 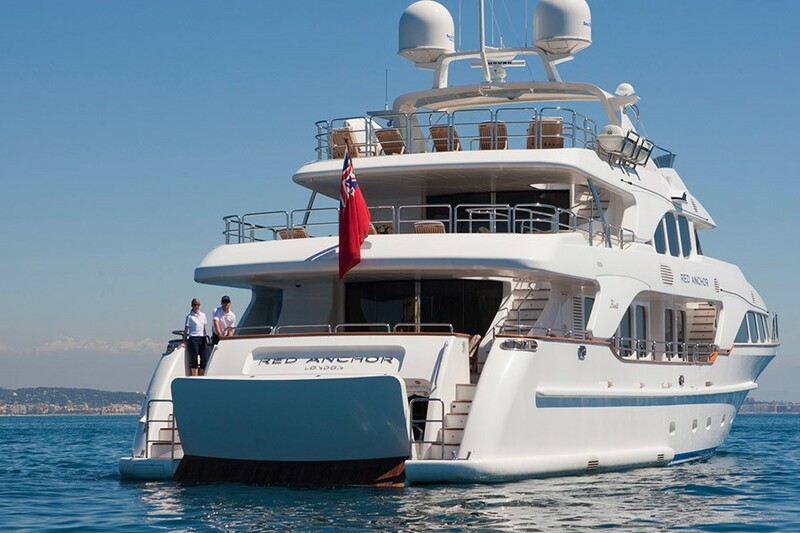 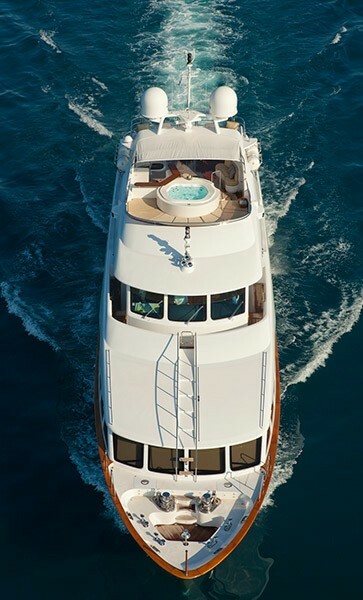 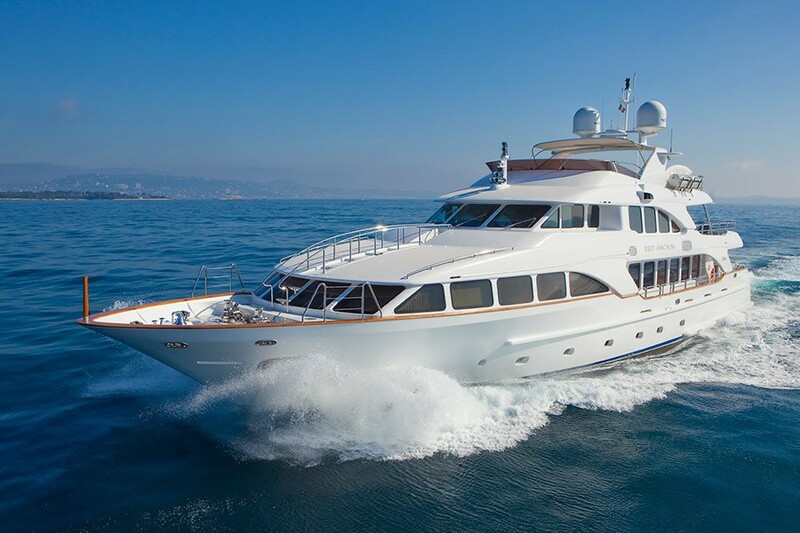 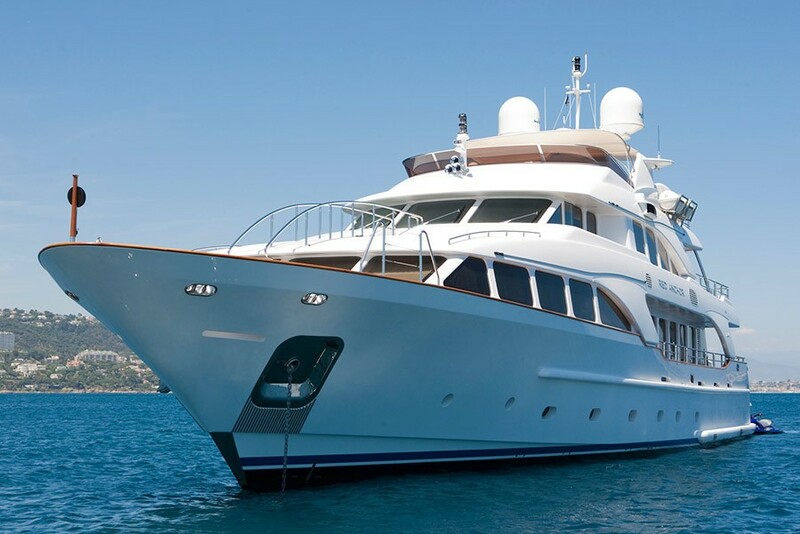 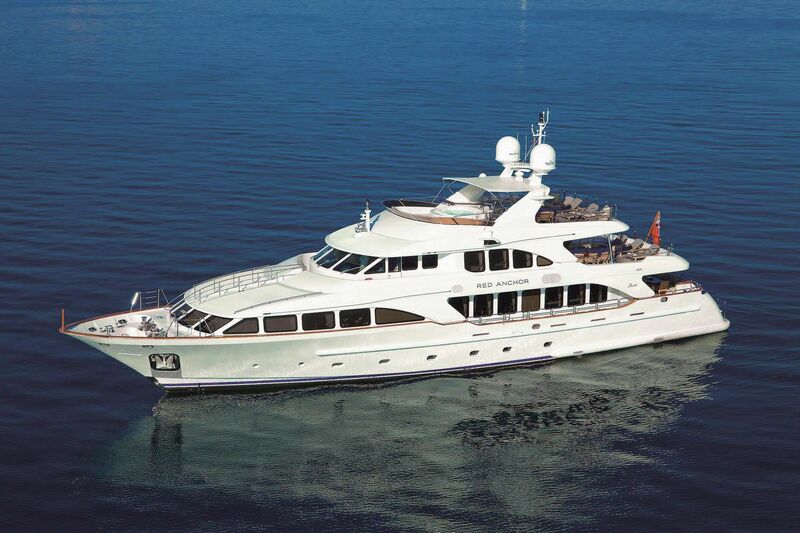 In addition, she is fully equipped with the latest state of the art entertainment extras she has an extensive list of water toys, a top deck Spa Pool as well as zero speed stabilizers for maximum comfort at sea. 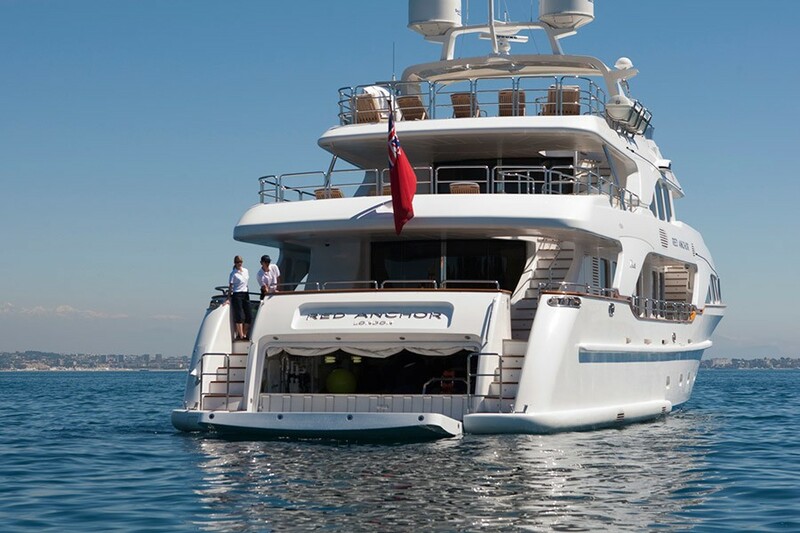 The yacht is designed for both offshore and worldwide cruising with great sea keeping, manoeuvrability and general handling capabilities. 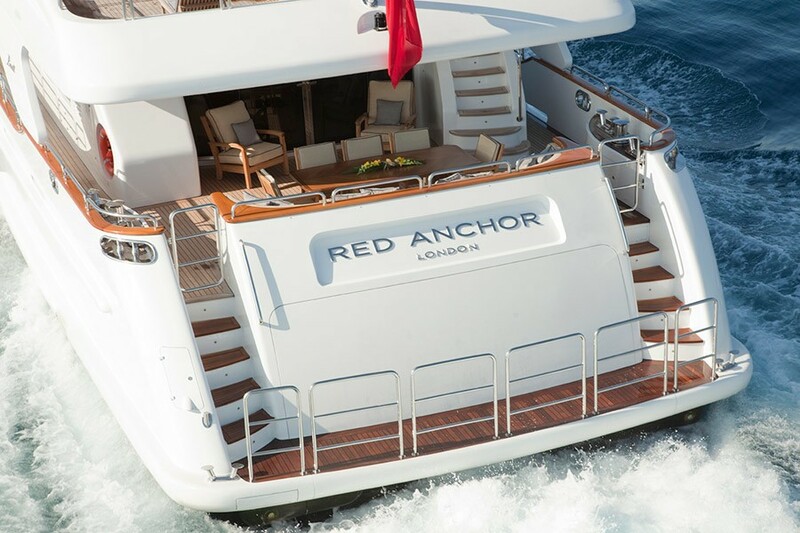 RED ANCHOR can accommodate ten guests in 5 luxurious cabins. 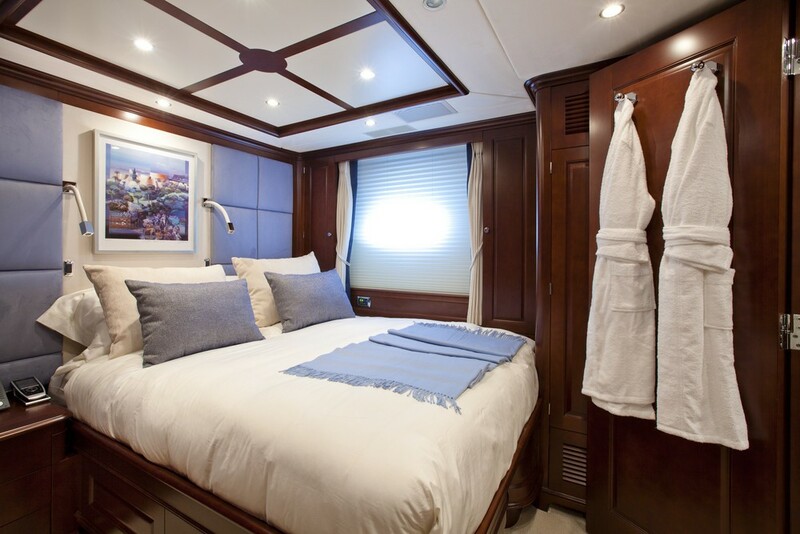 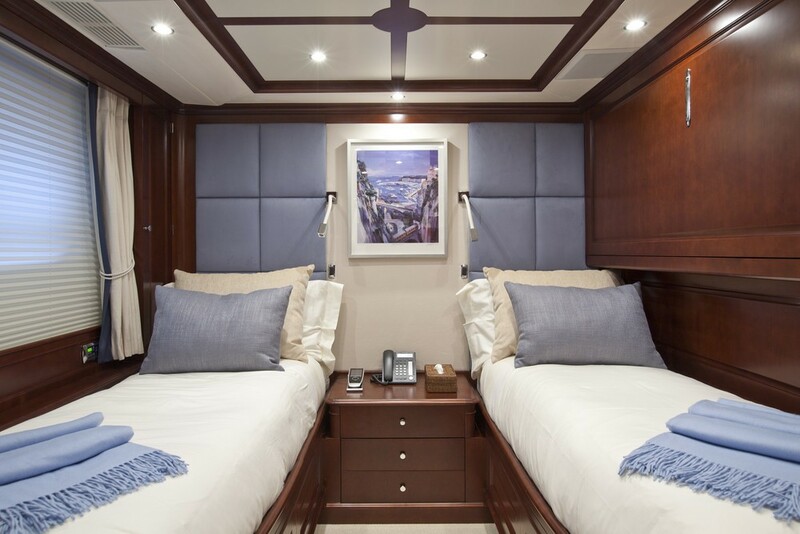 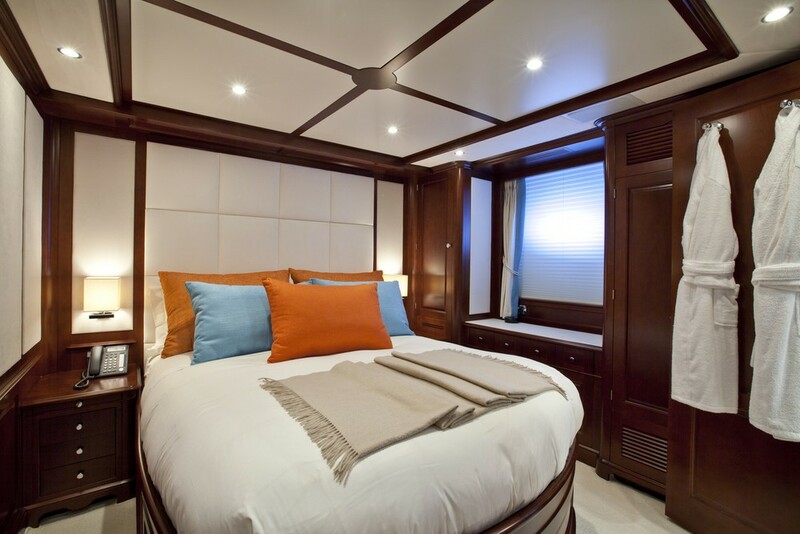 The Master cabin is located on the main deck, and there are two doubles and two convertible twin/double cabins located on the lower deck. 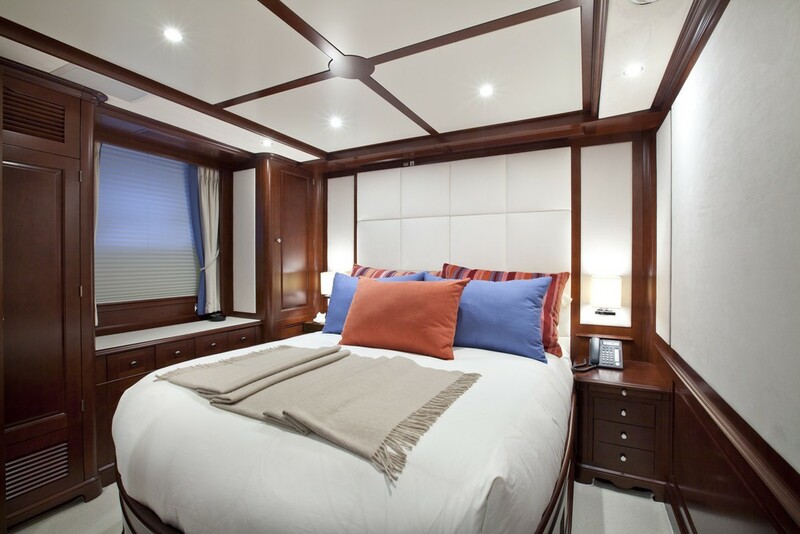 This cabin configuration offers great versatility for family charters or groups of friends. 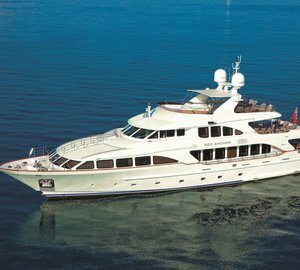 Benetti motor yacht RED ANCHOR (ex Claudia) has the following extras onboard available for charterers. 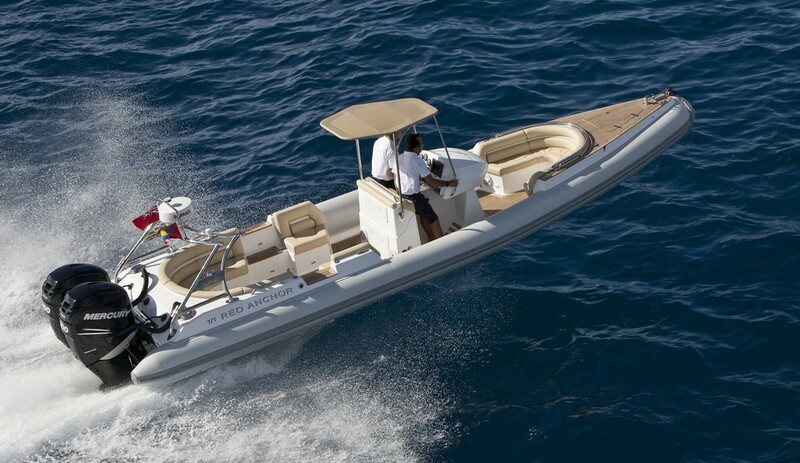 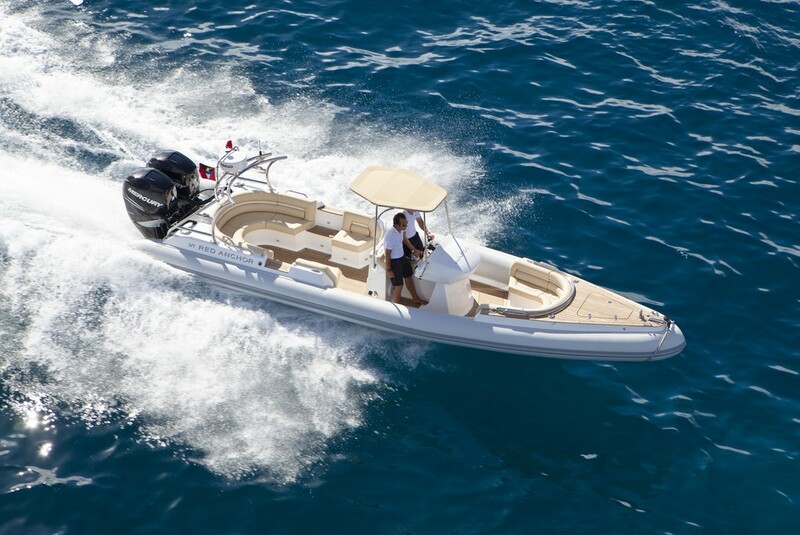 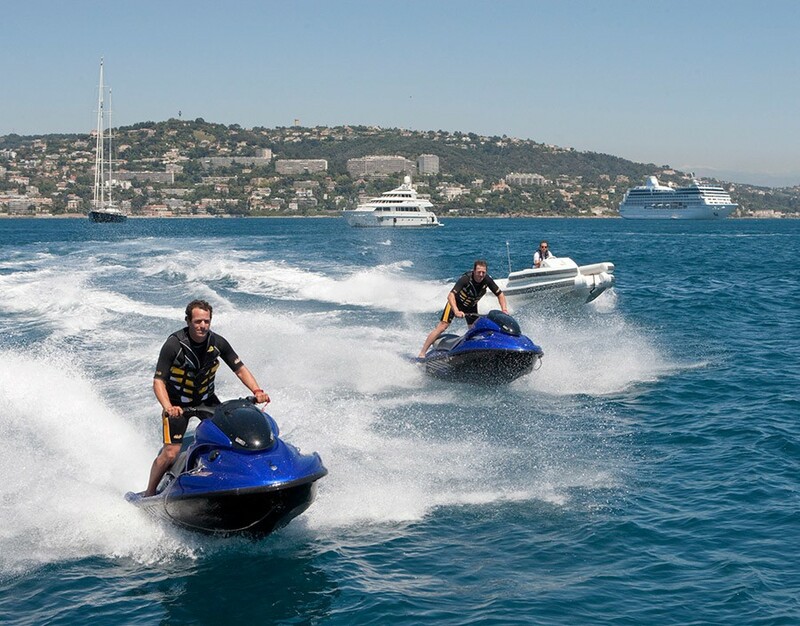 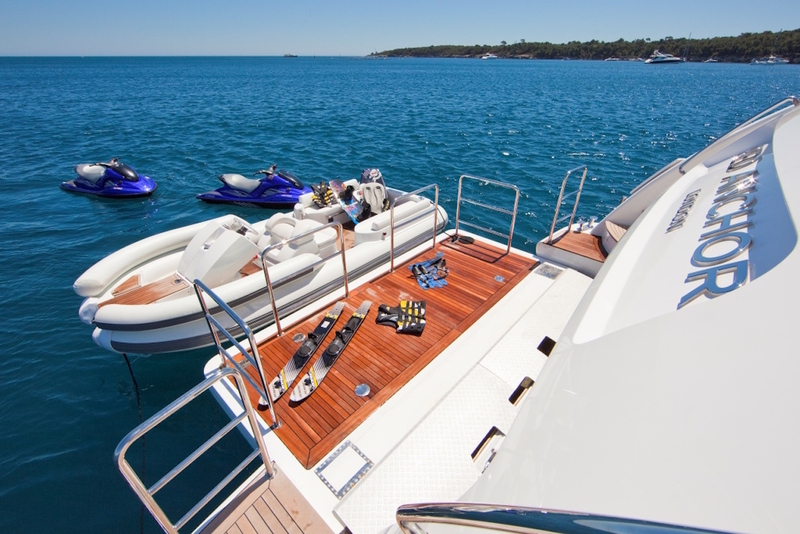 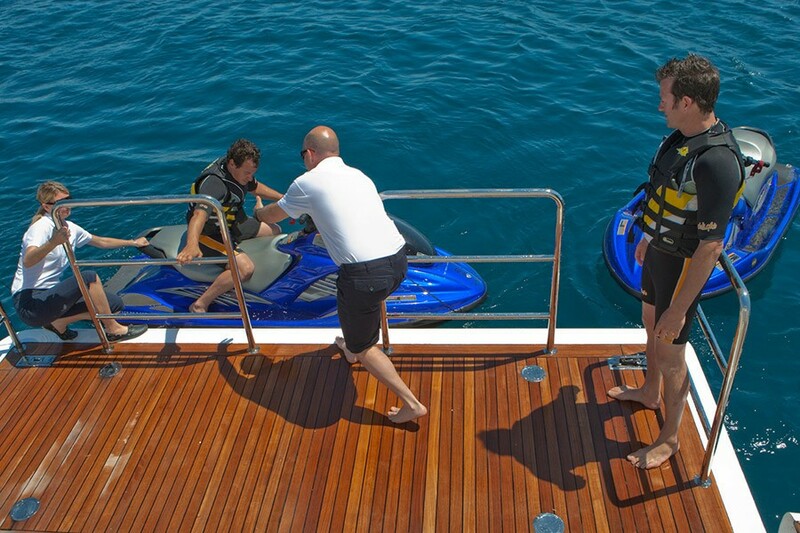 Tenders and Toys include a Castoldi Jet Tender 17, 2 Waverunners 1300 GP, a Windsurfer, a Laser dinghy, two donuts, a flying fish for 2 guests, an inflatable island, a wakeboard, a kneeboard, waterskis and snorkelling equipment. 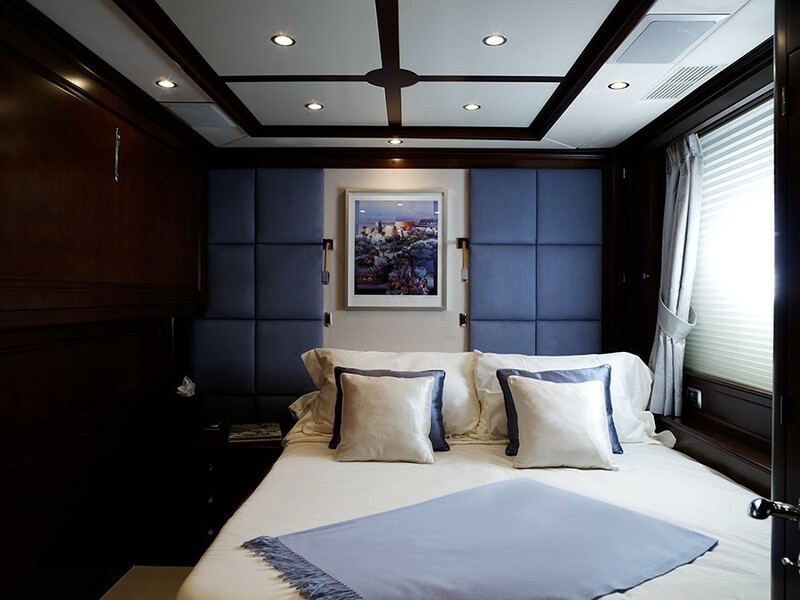 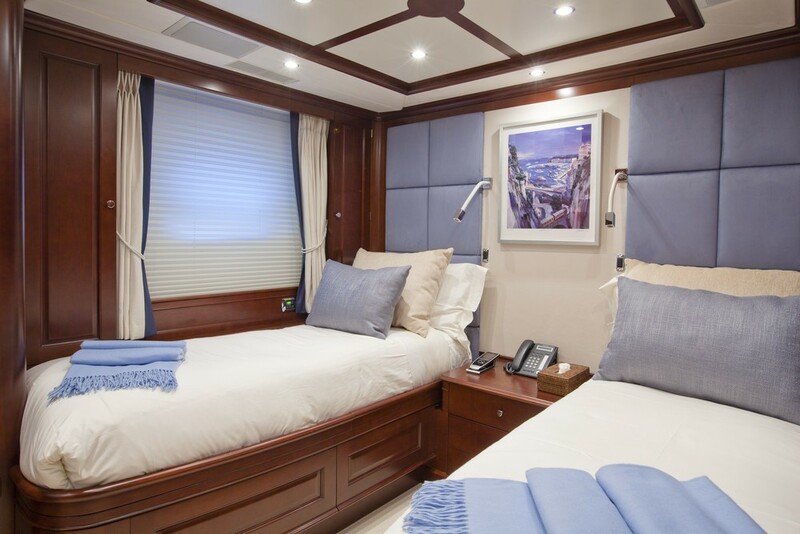 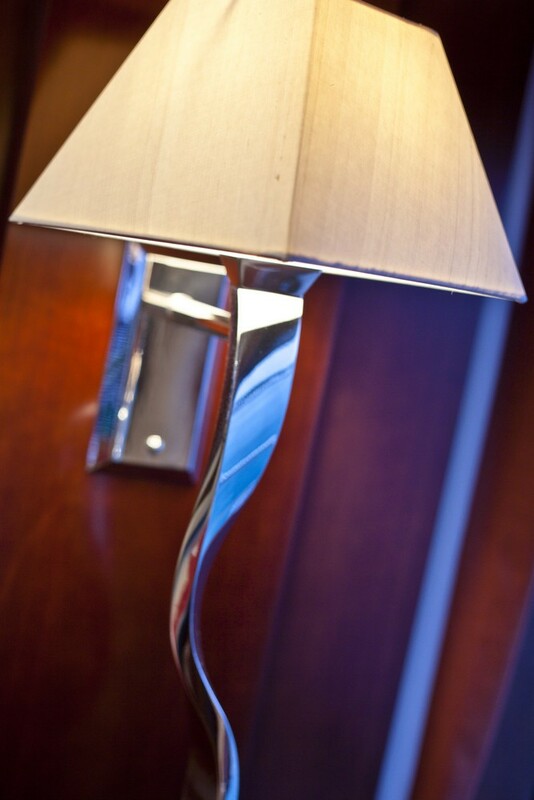 Audio Visual Equipment and Deck Facilities include a 42" Sharp LCD TV, Blu Ray DVD/CD players, iPod docking station & audio equipment in the Owner's stateroom. 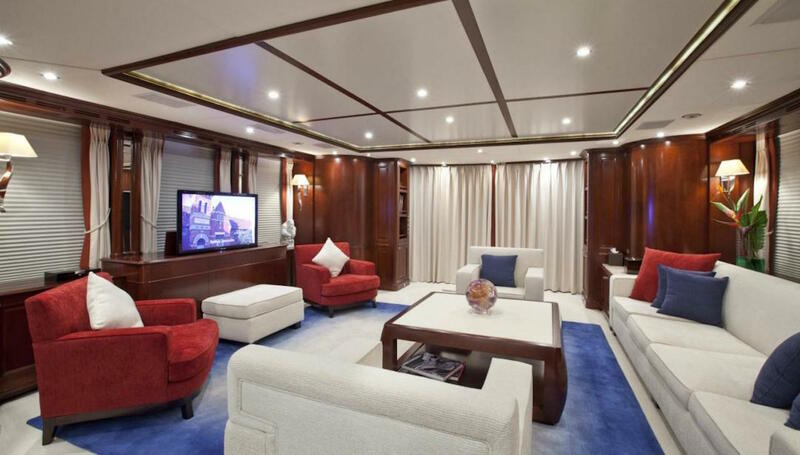 A 42" Sharp LCD TV, Blu Ray DVD/CD players, iPod docking station & audio equipment in the Main Saloon, a 42" Sharp LCD TV, DVD/CD players, large computer flat screen with unlimited internet, 3 x portable Play Stations in the Sky lounge and 20" Sharp LCD TV, DVD/CD players, iPod docking stations and audio equipment in the Guest/VIP cabins. 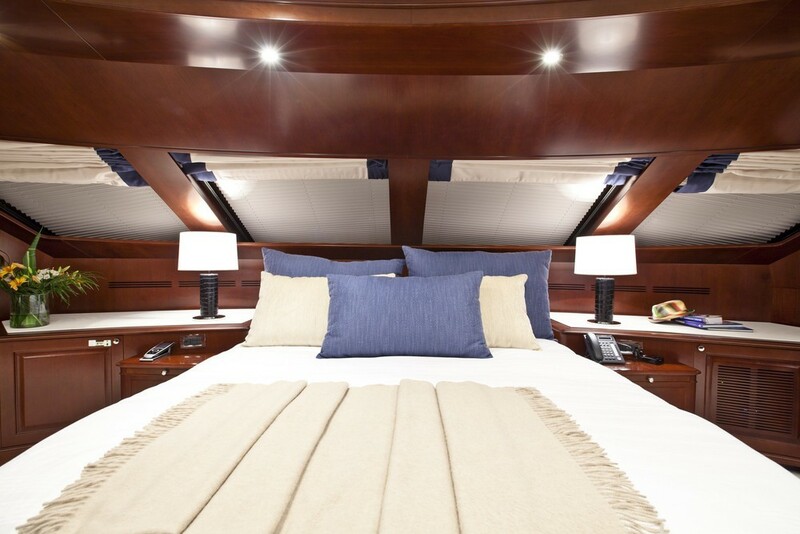 The English Sky satellite is available in all cabins. 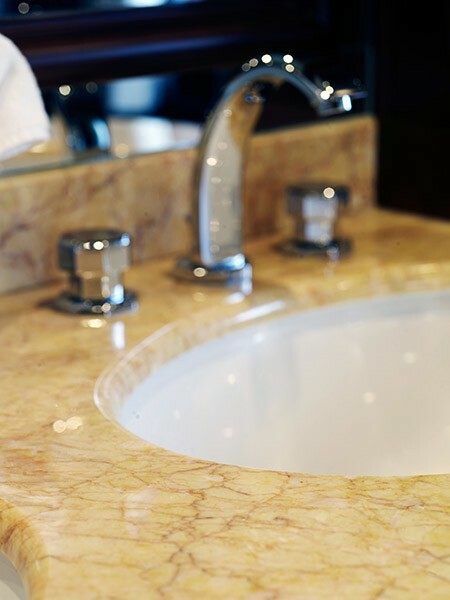 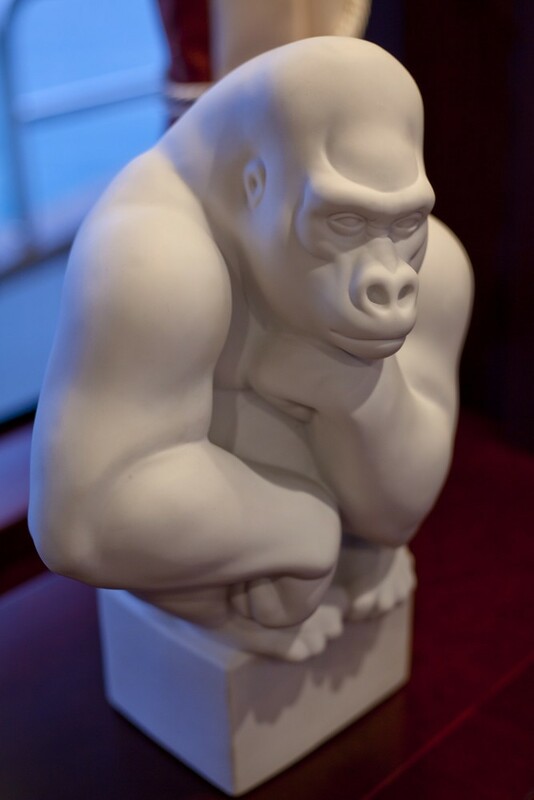 There are iPod docking stations in both salons and all cabins and a Spa Pool on the sundeck with pool bar.